It is through allowing that All Manifests. Easy for me to type, easy enough for you to read, but how, humanly how? The only way how is to go inward. is where you will see the magic manifest. Difference in Contemplation, Concentration and Meditation! 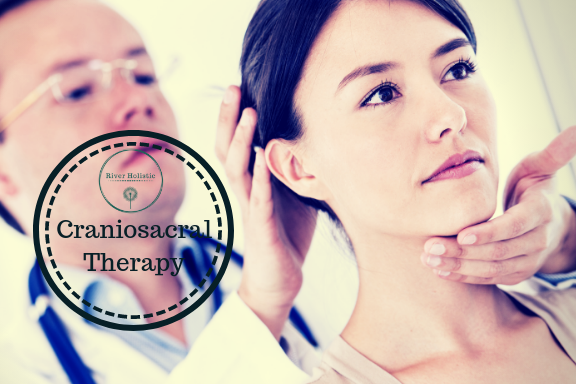 Craniosacral Therapy is a gentle hands-on therapy which originates from osteopathic medicine. It was developed by Dr. John E Upledger who was a Doctor of Osteopathy, a Professor in Biomechanics and a Researcher in Osteopathic Medicine. Craniosacral Therapy is a gentle, non-invasive therapy which is simple yet powerful and effective. This gentle therapy can benefit everyone from babies, infants and children to adults and the elderly. It assesses the functioning of the body’s physiological system. Using a gentle touch it releases the body’s restrictions in the Craniosacral system. 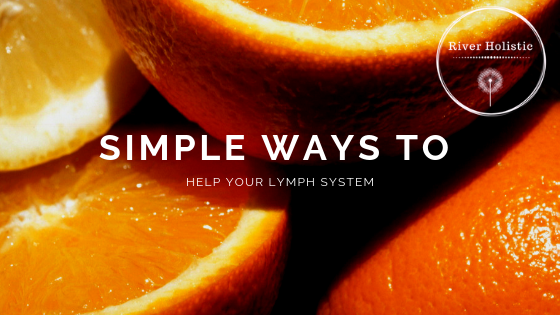 It enhances and may help the functioning of the Central Nervous System. It is a holistic therapy which can help the client to employ their own body’s healing capabilities to bring about change, restore balance and create equilibrium within the body. Each 50-minute to 1 hour therapy session takes place in in a quiet, calm setting. This is a one off class where you will learn all the best “do’s and don’ts” when it comes to foam rolling. Foam Rolling is widely know to be very effective and used to prevent, treat and preempt injury related to exercise. If you run, cycle, swim, walk, gym, or go to circuit class you will inevitably carry some tightness, tension or discomfort. These distractions can be successfully compared with regular use of a Foam Roller. In this class I will address common injuries and discomforts in the lower back, hips, thighs, and feet. At home it takes about 10-15 mins once or twice a week to keep these niggles and injury at bay. Anybody can use a Foam Roller and everybody can benefit from it’s therapeutic effect.After attending this class the person should feel they have the necessary tools and knowledge to combat their discomforts. The class is 1.5 hours long. 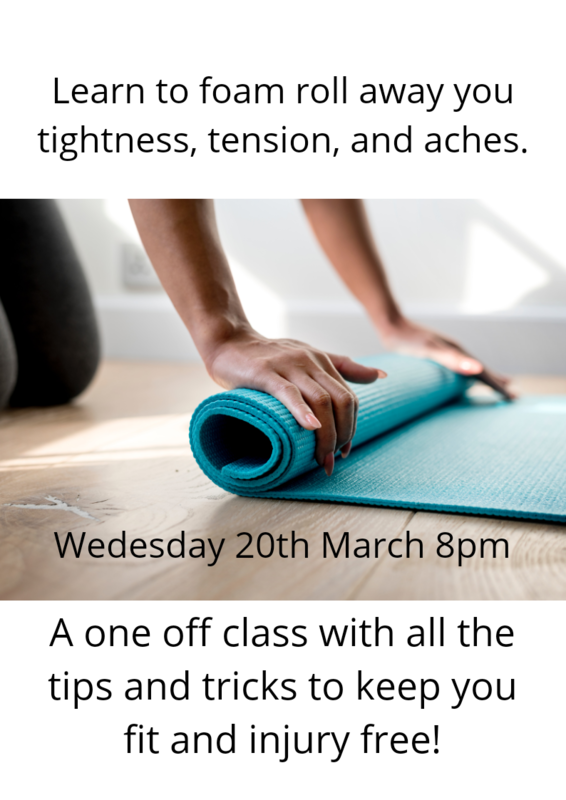 It will begin with an introduction to foam rolling, then an exploration of the techniques for specific areas and it will finish with a Q&A session. River Holistic is a very busy Holistic Centre based in Raheny, offering a vast array of Alternative and Complementary health therapies and multiple weekly classes in yoga, pilates, meditation and Mindfulness to name a few. 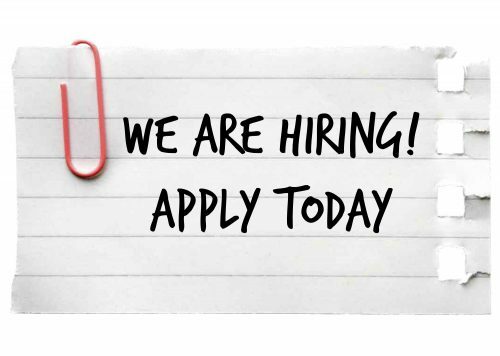 We are looking for someone special to join our team to run our front desk on a part time basis, 2 to 3 week day evenings. • Provide the highest level of customer service to all of our visitors with the goal of creating a positive and friendly experience for all of our clients. • Assist clients with appointments, information on the right therapy for them, class and workshop bookings. • Must have a broad understanding of Alternative and Complementary health. As the year draws to a close this Crystal Sound Bath & Intention Setting Workshop is the perfect opportunity to release 2018 and open to the year ahead. Come along and allow yourself to be bathed by the sacred sound vibrations of the quartz crystal singing bowls and tuning forks. The vibration and resonance of the combined instruments will enable you to move into a deeply meditative state through which your body can effortlessly repair and restore itself, your mind can relax and focus, and your heart can open to your souls desire for the year ahead. Quartz crystal is known for it’s healing properties, and it’s ability to support clarity. Whilst the crystal bowls and tuning forks are made from quartz crystal they are also tuned to the frequency of the chakras, thus making them a potent companion in healing and manifesting. Through meditation we will acknowledge the year that has been, and open to all that lies ahead in both our head and heart. Whilst lying on a yoga mat snuggled in your blanket you will be bathed in the relaxing healing sounds of Crystal Bowls, Crystal Tuning Forks, and a variety of different sound healing instruments such as the Himalayan Singing Bowls, Gongs, Drum, Zaphir Chimes, Solfeggio Pipes to support you through this sound journey, before allowing a deep state of stillness to set in. As each instrument is played the sound is absorbed inwards, working on the chakras, enabling the body, mind and spirit to move back into a deeper state of balance, and who doesn’t want more balance?? Through use of these sounds we begin to shed the dense heavier energy of daily life, thus rising our vibrational energy, allowing us to effortlessly attract higher frequency people and experiences into our lives. Contra-Indications: please note this workshop is NOT suitable for people with a pacemaker, inflammation, advanced stages of cancer, cancer tumours, metal implants, having had surgery within 3 months and in the first trimester of pregnancy. 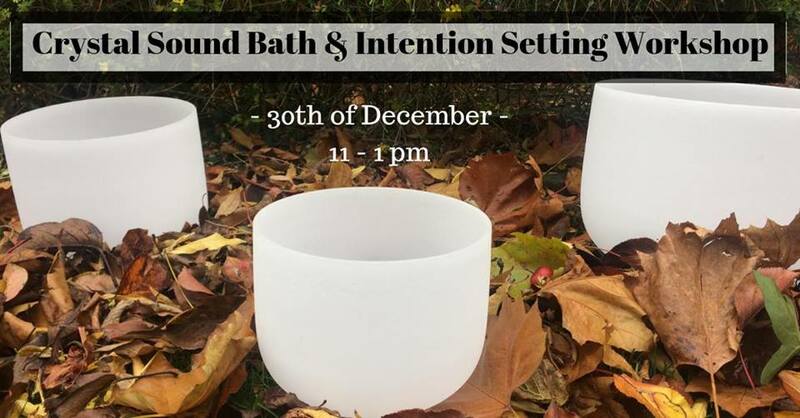 Places for this Crystal Clear Sound Bath & Intention Setting are limited to 12 people and require pre-booking / pre-payment. My name is Catherine. I am a fully qualified Yoga instructor with specialisms in both child and teen Yoga. I am also a Primary school teacher with previous roles in Montessori teaching and special educational needs. I have always been interested in movement from a young age. I took my first Yoga class while at school, as luckily my teacher was also a Yoga instructor. After a car accident in my 20’s, I came back to Yoga practice to help heal my injuries but found much, much more. I practiced on and off for several years and while living in the UK training as a Primary school teacher, I decided to take the leap and complete my Yoga teacher training as well. I studied traditional Ashtanga, Vinyasa Yoga, Children’s Yoga and Yoga for Teens with Yoga Alliance UK. I’ve completed various Yoga CPD courses and as a Primary school teacherI have full Garda vetting, first aid training, and a range of SEN and PSE courses to aid my teaching. I am passionate about Yoga and the sense of wellbeing it brings to both adult and children’s lives. I love working with children and have over 10 years of experience in various educational roles. I aim to provide fun, accessible and happy Yoga lessons which will boost children’s health, wellbeing, confidence and self-esteem. Each of my classes follow a basic structure to include an introduction to class, breathing exercises, a group of poses or sequences, a game and/or activity, and a guided meditation. Depending on whether the theme is used (e.g. Autumn/Christmas), each of those elements can tie into a bigger topic or idea. Students set up for class by sitting in a circle. If theme based it is introduced here. 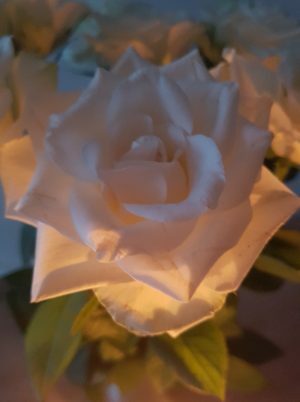 I play soothing music and often use a candle or incense. 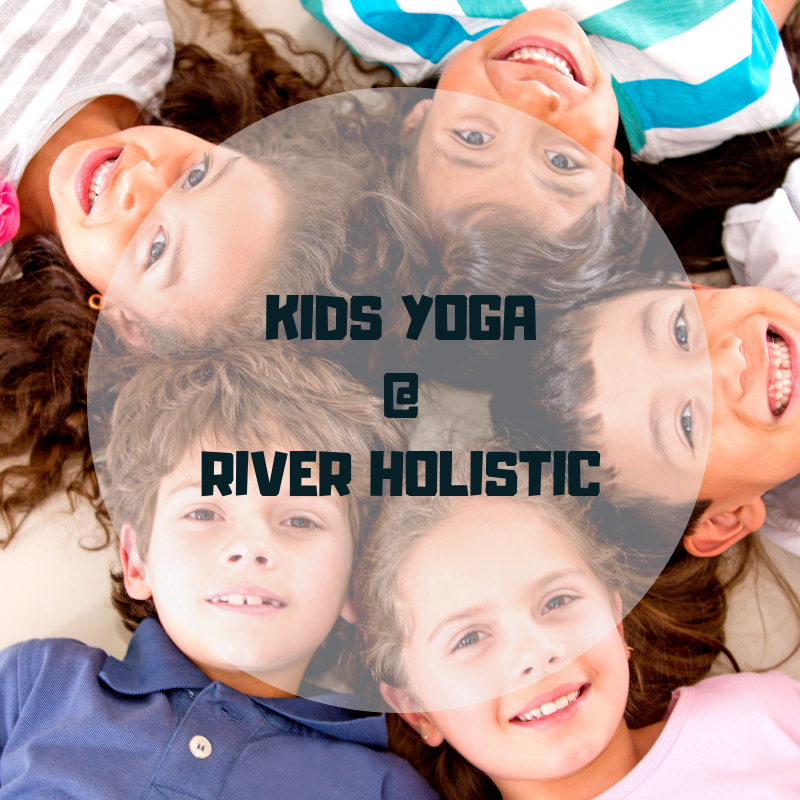 Depending on the activity level of the children I have a range of fun group warm ups or Yoga games to settle energy such as Musical Yoga mats, or more soothing activities such as ‘silent ball’ or ‘Yogi talking stick’. After, we normally have check in time to see how everyone’s day has been, perhaps do ‘magic massage’ self-massage of head/hands/neck/shoulders or play the ‘Om name game’ chanting our names instead ofom to set a fun, relaxed class mood. There are so many breathing exercises you can use with kids. With “Bumblebee Breath” for example I have students sit comfortably, then ask them to slowly inhale for a count of 3. On the exhale they will buzzzzz like a bee. This is repeated 3-5 times and I ask them to notice the sensations that they feel as they make this sound. 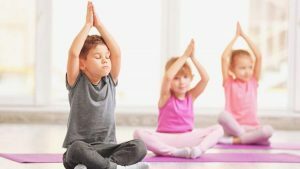 Other breathing exercises introduced to children would include Balloon belly, Candle blowing breath, Good in/Bad out breath, and perhaps the extended exhale. Breathing has an important impact on how we feel and learning these tools can help children in stressful or anxious times. Traditional poses are used but I often swap out the names to fit with the theme or to be more child centred, for example using nature themed names such as Tree, Crow etc. In each pose, I discuss the qualities or sounds that the animals etc. make to encourage engagement. Child’s Pose or “snail” – Discuss how snails are very small and still. Cobra pose- Inhale to rise, “hiss” as you lower back to the ground. Cat/ Cow – “moo” on cow, “hiss in cat”. Puppy pose – stretching long like a puppy waking up from a nap. Downward Facing Dog- walk out the heels like you’re walking a dog. Ragdoll or “Gorilla”- gently sway your arms from side to side. Dancer or “Flamingo” – find graceful balance on one foot. Squat or “Frog”- crouch low to the ground with great flexibility. Butterfly – gently flap your wings up and down. As time progresses we can move on to more challenging poses and sequences such as Dancing warrior or mini-inversions. Children’s sessions are usually shorter, often have stories, games, myths and music intertwined for e.g. using story or activity breaks. I sometimes use the book ‘Being me and loving it- activities and stories to boost self-esteem or read other relevant children’s short stories. 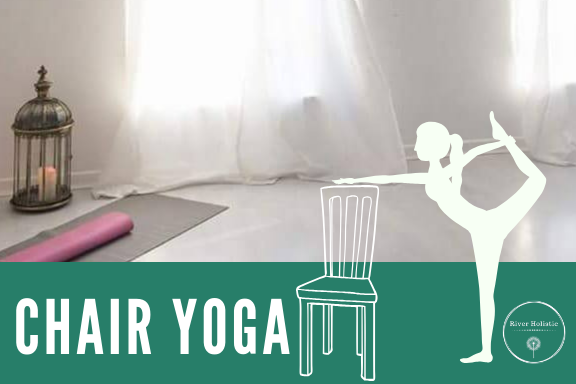 Alternatively, Yoga principles such as peace and honesty can be discussed, and kids often come up with some beautiful discussion ideas when they are relaxed and focused. Also, once children are familiar with traditional sequences such as Surya namaskar or Dancing warrior I often give opportunities for them to lead, which tends to be very popular and builds confidence, focus and memory skills. Going around in a circle, I have each student share their favouritething in nature or favourite animal and we create a pose that looks like the animal. Alternatively, we make up our own poses or sequences to share. The whole class try each pose. Using this basic template, I create many different classes that fit with varied themes or concepts. Ages and attention spans of the students help dictate how long I will spend on each portion of the class. I also regularly use the book ‘The wishing star’ 52 meditations for children, which always proves very popular. Blankets and eye pillows can be useful to help the more active child fully relax into Sav asana. Each class and each student are always different. Start time– Tuesday’s 3:45pm to 4:45pm, to allow time after school to go home, snack, change and travel to class on time. Booking: Contact Reception on 018310888 to secure your child’s space. Said every mother FOR YEARS. What do these simple two words really mean. I’m tired is code for I am getting by, I haven’t slept for a year, I haven’t had a shower or yes sometimes even a bowel movement without an audience and no longer than 5 minutes in a very long time. I’m tired means I need help, I need a coffee, I need a break, but most of the time it means I am just about holding my head above water, while trying to keep our little angels alive, going to work and trying to be an adult, trying to keep a house in some order so a hazmat team is not needed or social services are not called because you didn’t have the energy to bath your children every night and resorting to a few quick wipes with a wash cloth every now and then, you don’t get time to shower so sometimes they don’t either. I’m tired can sometimes be a call for help or just looking for a simple nod from another mother, letting them know that they are not alone. 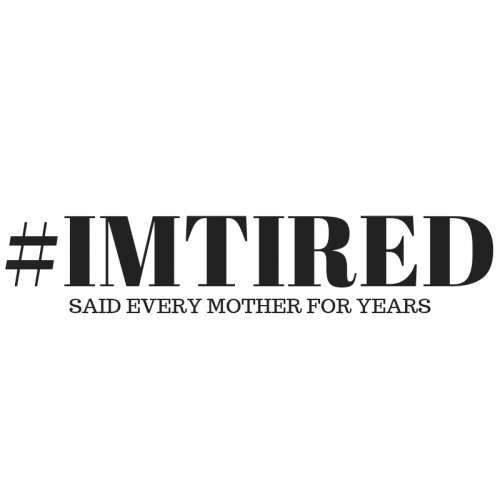 I’m tired is not looking for a condescending tone of I told you two children was enough, these years are so precious you should enjoy every minute of it. I’m tired will not last for your whole life span of being a mother but it is going to be your hashtag for a very long time. When you are tired just try to find that right balance between keeping little humans alive, keeping yourself from looking like a human and knowing that your children think you are the moon, the stars and the sun all rolled into one. These beautiful little humans don’t care about the “good housekeeping guide of 1952”, they don’t care about how clean they are, they don’t care about how clean the floor is (because they are only going to dump all their toys on it 5 minutes after you have cleaned it), they don’t care about how you don’t have a 7 course dinner on the table, sometimes a bowl of cornflakes sitting on the floor together can become one of their most precious memories. I’m tired has so many meanings, your children do not look for the finer things in life for happiness they will look to you to be there, in some shape or form, not all the outings that you just couldn’t face, but for the cuddles on the couch and the listening ear that no matter how tired you are, you will always give. Please stop being hard on yourself if your children are happy, healthy and still get excited about seeing you, their moon, stars and sun, you are doing an amazing job. I will not say it’s easy, I will not say it will end soon, however I will say I am tired too and I get you. Drawing on the latest scientific research on female sexuality, this discussion-based workshop will explore the interaction between a woman’s physical, emotional, mental and spiritual self in the context of sexuality. 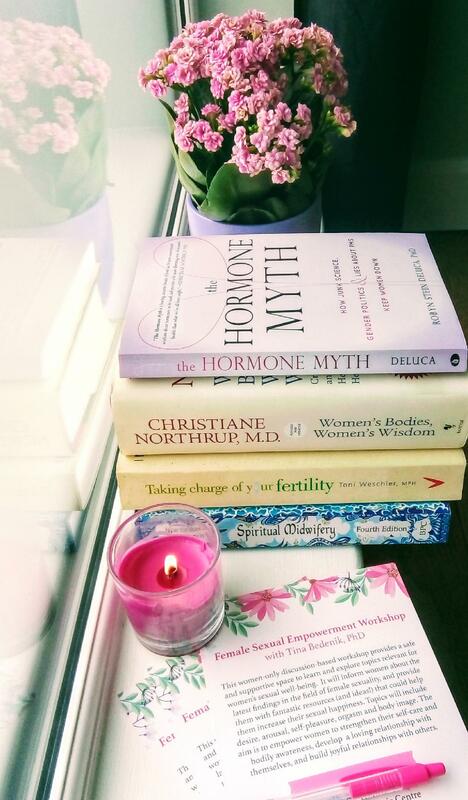 The workshop is intended for women exclusively, in order to provide a safe haven for a discussion and exploration of topics relevant for women’s sexual well-being. It will inform women about the latest findings in the field of female sexuality, and provide them with a range of fantastic resources (and ideas!) that could help them increase their sexual satisfaction. 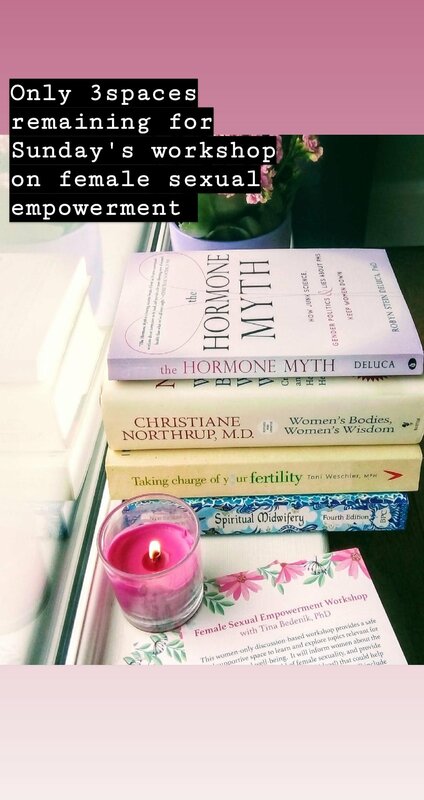 The goal is to empower women to strengthen their self-care and bodily awareness, develop and maintain a loving relationship with themselves, and therefore build balanced, healthy and joyful relationships with others.